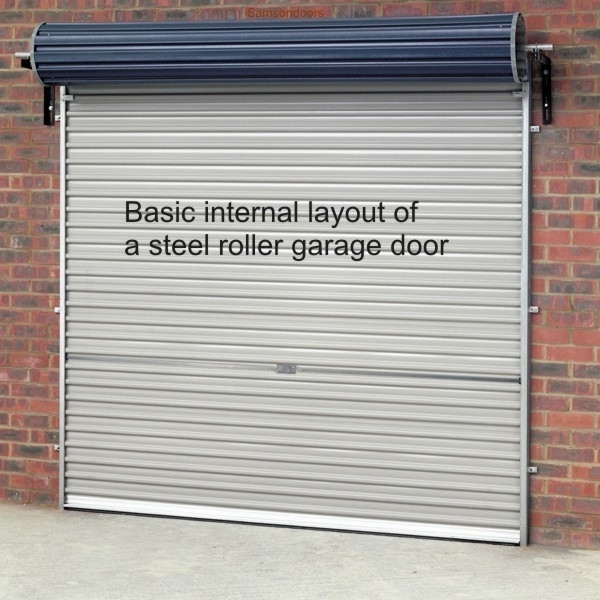 The Gliderol 'A' Series Steel Roller Doors are ideal for garage door openings up to 3400mm wide. They are easy to install and available as manual or remote control electric operation. The order size is calculated from the opening width of the brickwork plus an amount each side for guide and curtain overlap. The height is the height of the guides and the roll is an extra height above this varying dependant on the guide height. Security - Unique profile and aluminium bottom rail reinforce Gliderol roller doors against intruder penetration. Locking - The double-sided locking system is operated from the central handle and locks from both the inside and outside of the door (manual doors only), unless locking is requested for automated doors. Safety - The door reverses automatically should the downward movement of the door be restricted. Quiet Operation - Noise is reduced as the motor is housed entirely within the roll of the door giving a quiet and smooth performance. 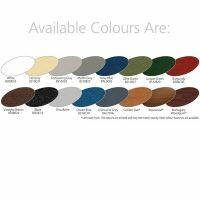 Weatherseal - Durable weatherseal on the underside of the door prevents leaves and other undesirable materials entering your garage from outside. Installation - Requires no frame so enables the maximum possible opening width for the wider vehicle. 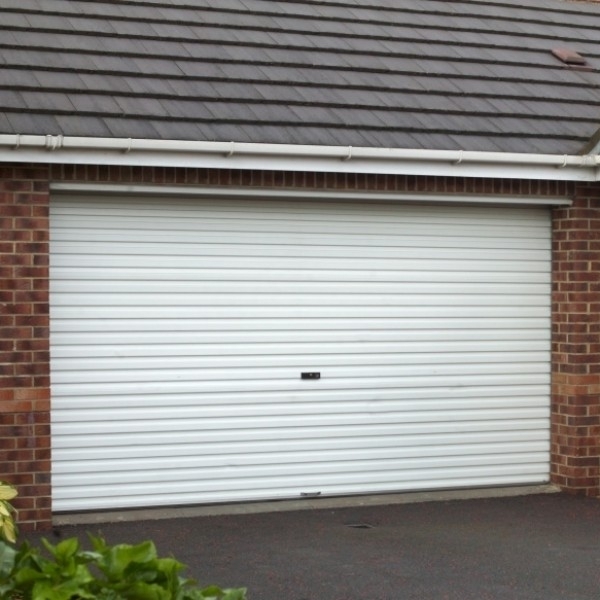 Door sits behind the brickwork so can be fitted in arched and unusual garage door openings. Mechanical parts are guaranteed for 6 years and the door finish itself for 10 years! All Gliderol doors and operators are CE approved and marked. 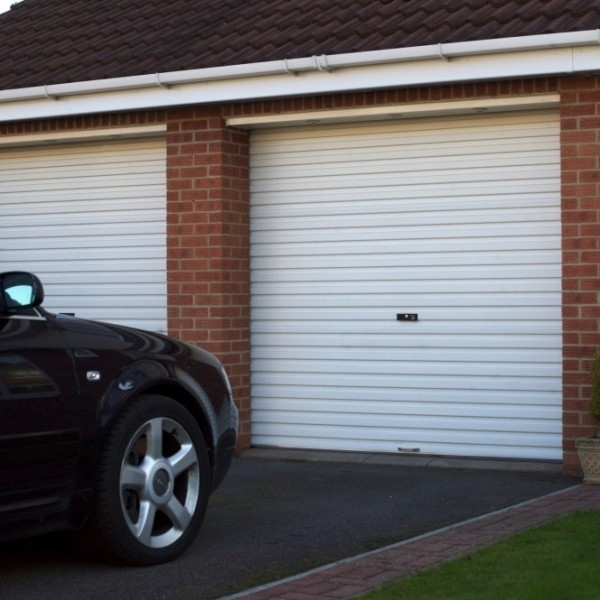 These roller doors come with a bottom weatherseal as standard to prevent leaves and other materials entering your garage. The Gliderol Roller Doors are finished in a Plastisol coating, which is hardwearing, durable and do not require any extra painting. The roller door will reverse automatically if the downward movement of the door is restricted. The remote control transmitters are an optional extra. 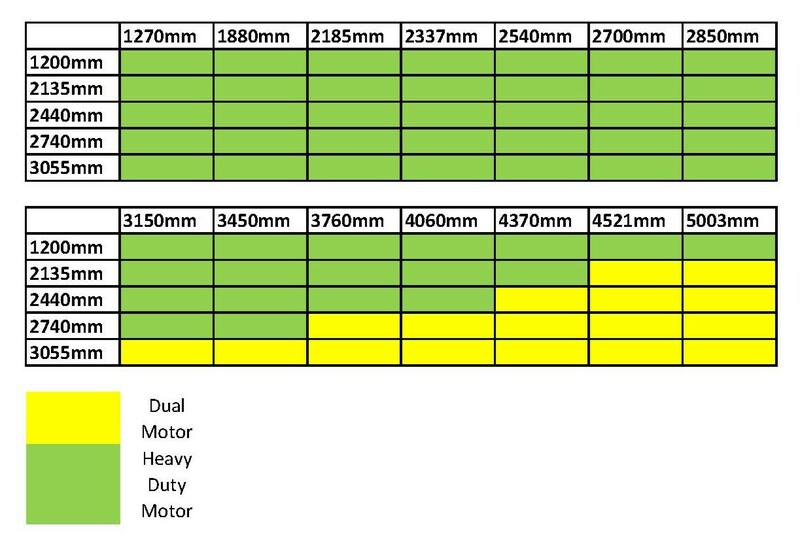 Up to 10 transmitters can be used with each Glidermatic motor. You do not have to worry about the risk of another handset using the same code as the remote handset uses a different code from one of two billion after every operation. You can buy a Handset Cradle or a Hand Transmitter Sun Visor Clip which can either be fixed to the wall in your home or clipped to your car sun visor. This is required if you have no other entry into your garage. The External Manual Release allows access into your garage in case of a power failure. It works as a simple key switch which connects via a cable to a pin on the side of the motor, upon pulling it will disengage the motor to allow manual operation of the door. This is an optional extra. ***PLEASE NOTE: A central lock is not supplied on automated doors as standard. Should a lock be required, please state at time of ordering. For operating the door without the transmitter, this is an easy item to install and set up. Simply screw to the wall nearby and set up the coding to operate the roller door using a 4 digit code chosen by yourself, which can be easily changed whenever required. Another useful accessory for access control without a transmitter. This single pole keyswitch is provided with 3 keys and will require hardwiring back to the control box internally. The operation is by a single impulse in either direction. The Glidermatic GRD Remote Control Operator is very easy to use and opens the door smoothly and quietly. The operator allows you to open and close the roller door by the means of a compact hand transmitter or a wall mounted control box in the garage. Glidermatic GRD (Heavy Duty Motor) - for all sizes, except (up to): 3400mm x 3055mm. Glidermatic GRD (Dual Motor) - for sizes (up to): 3400mm x 3055mm only. 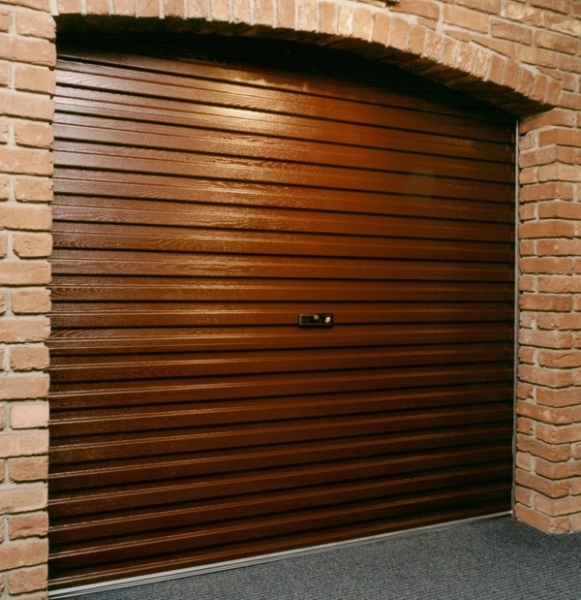 Before you specify and order a Gliderol steel single skin roller garage door you need to understand the dimensions and ordering references used as they do differ from many other types of roller garage doors. 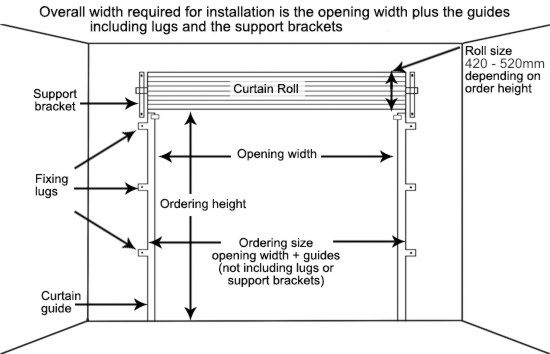 The Ordering Width when specifying and ordering a Gliderol steel roller door is the Opening Width plus the roller door curtain overlap and is generally therefore the garage Structural Opening Width plus the door curtain overlap on each side which is 25mm each on a roller door up to 3400mm total width or 50mm each side on a door over 3400mm. The side room required for actually installing the roller door is different again as there are quite large supporting steel L brackets at high level which are fitted wider than the roller guides referred to in the ordering width and also fixing lugs on the steel side guides. 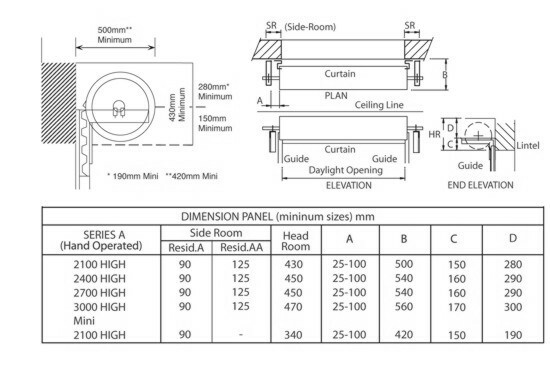 Example: A 2300mm wide garage door structural opening requires a further 50mm adding for the 2 no. 25mm guides each side giving an Ordering Width size of 2350mm. It is the height of the steel side guides that the roller door curtain slides up and down in and if you are ever in doubt about your height (i.e. unfinished floor, etc) you can always order these higher than required and cut the guides on site if necessary from the bottom and the curtain roll will simply take up the slack in adjustments. Example: A floor to RSJ/lintel height of 2200mm would mean ideally you need 430mm of headroom above this and the ordering measurement would be 2200mm. If you do not have 430mm of headroom the roller door will still fit but you will lose drive through height when open . In the worst scenario of having no headroom at all then you will require some kind of front mounted fascia cover to cloak the roll from view outside but your order height will be the total height less the curtain roll size required.